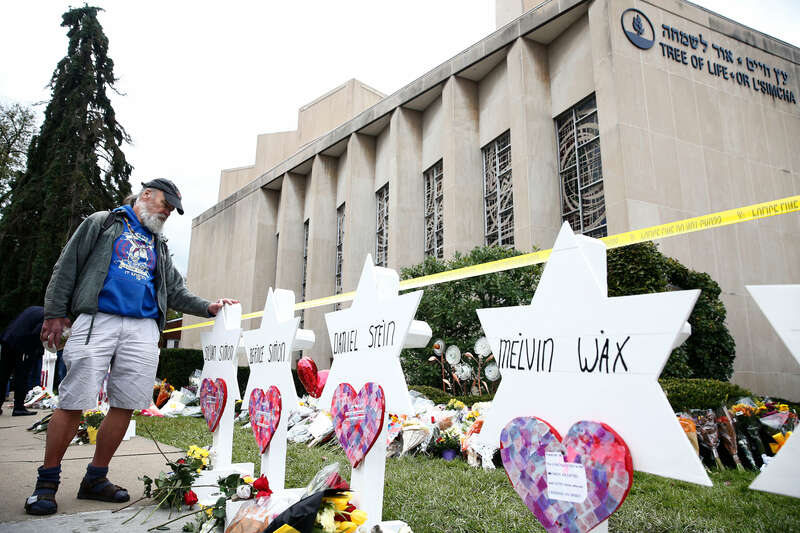 Photo Credit: CNS/Jared Wickerham, EPA - A man takes a moment at each of the Star of David memorials Oct. 29 with the names of the people who were killed at the Tree of Life Synagogue in Pittsburgh. The Catholic Church stands in solidarity with our Jewish brothers and sisters and condemns the recent horrific shooting at the Tree of Life Synagogue in Pittsburgh. We need to rid the world of the scourge of anti-Semitism. Our prayers are with the victims, their families and the entire Jewish community who are suffering right now. God calls us to embrace our common humanity as His sons and daughters. As citizens we must build a society that fosters respect among all people regardless of political, racial or religious differences.